Arbitrary rankings have become a national pastime on par with baseball and eating way too much on holidays (and most other days of the year.) In fact, I wonder what the internet would look like without thousands of blog posts ranking this or that. It’d probably be full of fake news, memes and dumb videos. So, not much would be different… With that in mind, it’s time for me to earn a blogging badge and throw out a long ranking list. 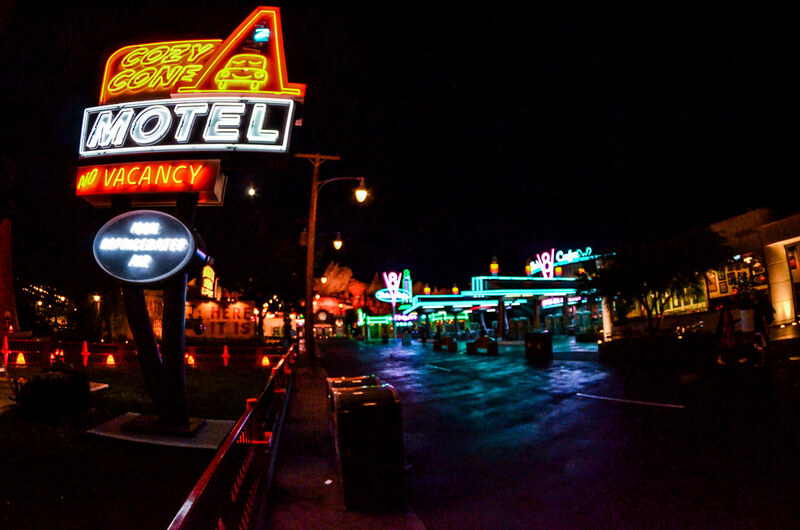 Since this is a Disney blog, what better items to rank than attractions! No Meet & Greets. These are impossible to rank and I don’t particularly like them in the first place. Unless its King Louie, I love King Louie. No Live Shows. Nighttime shows are almost always better than rides, in my eyes. Also, big stage shows are impressive and don’t fit the profile of a typical ride. I will include 3D movies though. These are all my opinion. Lou Mongello constantly says that “every attraction is someones favorite.” While that is corny and seems a little silly, I do think it’s true. I can’t account for other people’s memories in these rankings and will try (probably unsuccessfully) to take some of the nostalgia out of my views of these attractions. You’ll likely disagree with these rankings. Please let me know what you disagree with in the comments. 24. Tuck and Roll’s Drive ‘Em Buggies – You remember going to the fair as a kid and riding the bumper cars? Remember how they weren’t really that fun. It’s still true even if they have a bug’s face painted on them. 23. Francis Ladybug Boogie – Spinning around in ladybugs is a weird concept. Sadly, the actual ride isn’t weird and is pretty lame. 22. Heimlich’s Choo Choo Train – A slow train that goes in a short circle is not great. I do like the looks of Heimlich though! 21. Jumpin’ Jellyfish – I guess the jellyfish theme on the pier sort of fits. But I don’t like rides that just bounce up and down. 20. Turtle Talk With Crush – We’re getting into better attractions now. At least Turtle Talk is unique and a pretty fun experience for kids. With that being said, it’s forgettable. 19. Mickey’s Fun Wheel – This earns points for being a unique ferris wheel and decent eye candy for the pier. It loses points for being an absolutely terrifying attraction that doesn’t bring anything new to the table. 18. King Triton’s Carousel – Honestly, this isn’t that great but I do love carousels! 16. Silly Symphony Swings – Yeah, this is another amusement park ride stuck in California Adventure. But, I’ve always liked those swing rides. I also like that this offers nice views along the pier. This goes surprisingly high as well, adding a little thrill. 15. Golden Zephyr – The same thoughts here as the swings above it. This has a more interesting ride vehicle, in my opinion, placing it slightly higher on this list. 14. Monster’s Inc. Mike & Sulley To The Rescue – We’re finally getting to attractions that have an actual plot. Unfortunately, this isn’t a good plot and there is nothing visually that sets this apart. 13. 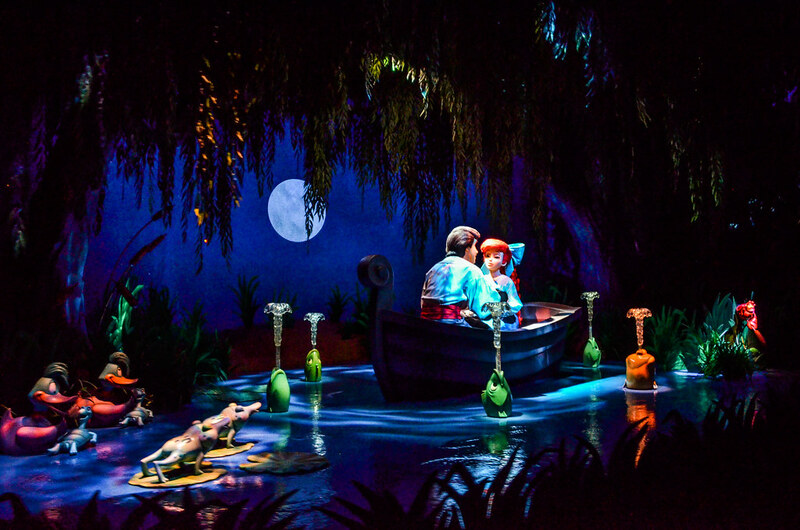 The Little Mermaid ~ Ariel’s Undersea Adventure – I’ll be honest, I despise this attraction. I think it looks bad and I’m not a fan of attractions that are just book reports of the movie. Still, I know others who really like this attraction and this was as low as I could put Ariel’s Undersea Adventure which really isn’t that bad. 12. Luigi’s Rollickin’ Roadsters – Okay, this should be below Ariel’s Undersea Adventure but I had to put my touch on this somehow. The reason the newest DCA attraction is even halfway up the board is because it is trackless and surprisingly fun to whip around on with younger kids. I like the looks of it at night too. 11. Goofy’s Sky School – This roller coaster scares me to death but some think it’s fun and it is probably a better ride than anything else on this thus far. 10. It’s Tough To Be A Bug – Speaking of scaring me, this is the most terrifying 3D show of all time. Still there is no doubt that this is quirky and immersive, even if I refuse to go on it. I should mention that this theater is often used for movie previews. 9. Redwood Creek Challenge Trail – Maybe the most underrated spot in California Adventure. I think this playground/trail is relaxing for parents and a wonderful spot to run around for little ones. There is no doubt that the Redwood Creek is one of the most beautiful areas in DCA too. 8. 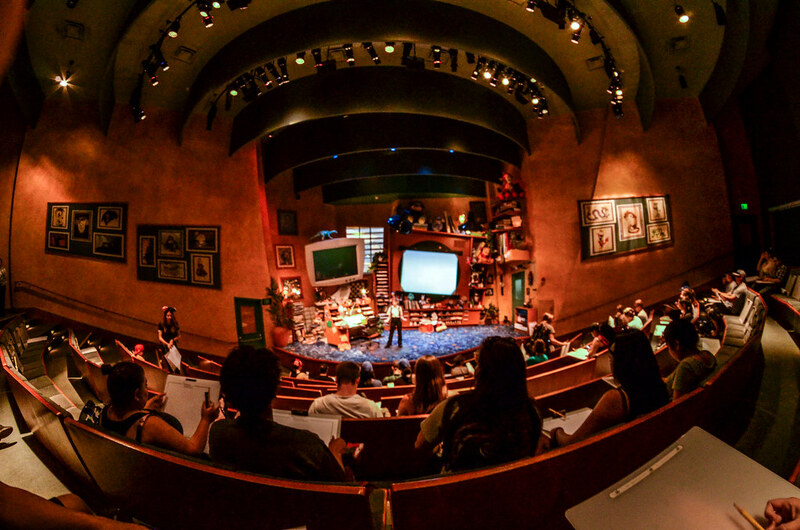 Animation Academy – Speaking of hidden gems, this is a fun attraction for everyone. I’m the worst artist around and I even found this fun as a cast member teaches you how to draw a classic Disney character. 7. 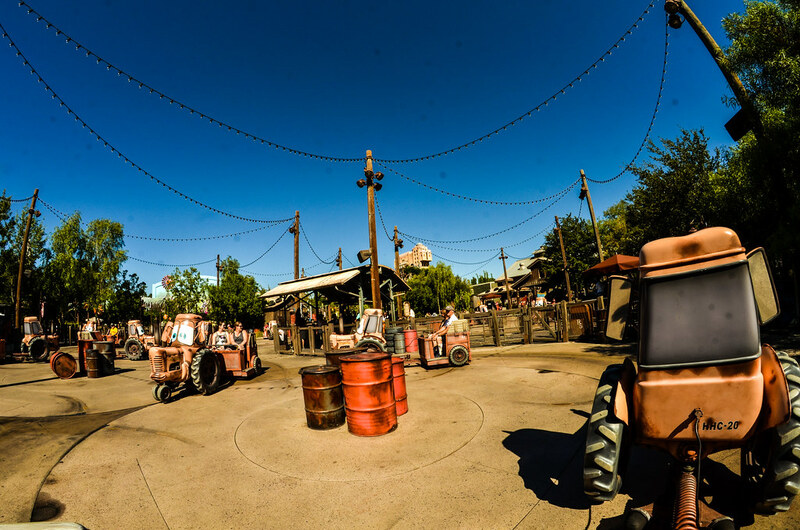 Mater’s Junkyard Jamboree – While this looks like a basic spinner ride, Mater’s is a blast to go on. This is surprisingly fun and impossible not to smile on. 6. Toy Story Midway Mania – There’s quite a jump in quality from 7 to 6. Toy Story Midway Mania is a blast and fun for the entire family. It doesn’t crack the top-5 due to the lack of story and immersion. 5. The Twilight Zone Tower of Terror – This version of the tower isn’t as impressive as some others but it still is one of the better plots for a Disney ride. This ranking could go way down or way up depending on the Guardians of the Galaxy layover that’s coming. I’m guessing that it will go down because I’m cynical about the location and a ride being shoehorned in an already built attraction. 4. California Screamin’ – This is just a really fun roller coaster. There isn’t much to the story other than being on the pier, but it is a blast to go on. 3. 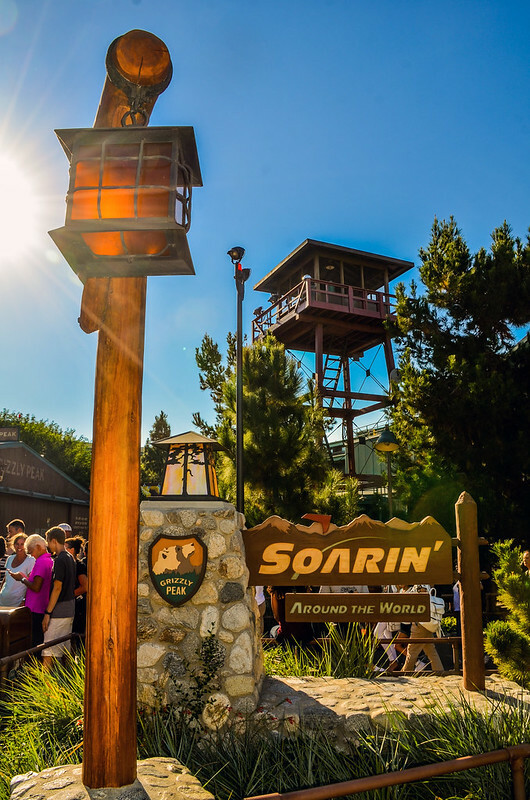 Soarin’ Around The World – I don’t love the new Soarin’ as I think it relies heavily on CGI and I don’t find it as stunning as the previous version. With that being said, it’s become a Disney classic and is a unique experience. 2. Grizzly River Run – This attraction is under-appreciated and extremely beautiful. The rapids ride showcases Grizzly Peak which is one of the icons of the park. If that’s not enough, the ride is really fun and a great family attraction. Getting soaked may scare some people off but grab a poncho and enjoy one of the best raft rides there is. 1. 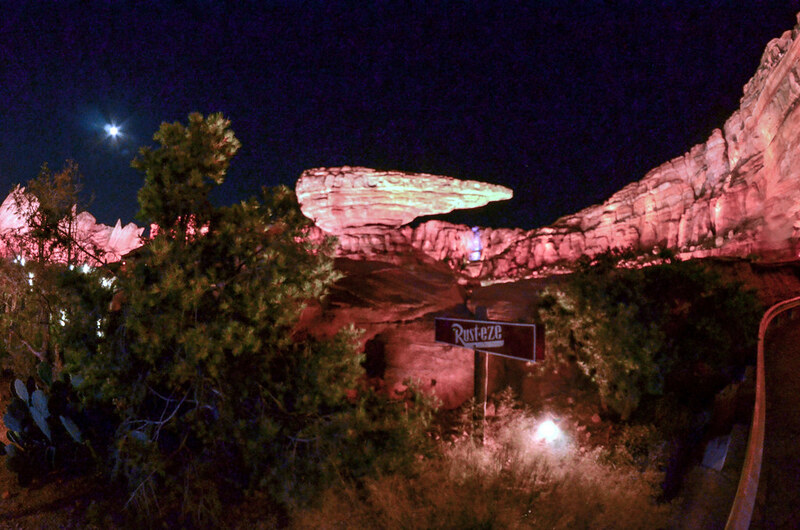 Radiator Springs Racers – This really isn’t close. Radiator Springs Racers is the best attraction Disney has created in the last 15 years. The ride offers beautiful scenery, a classic Disney dark ride with audio-animatronics, and a sense of thrill at the end. There is nothing close RSR at California Adventure and it deserves the top spot without a doubt. 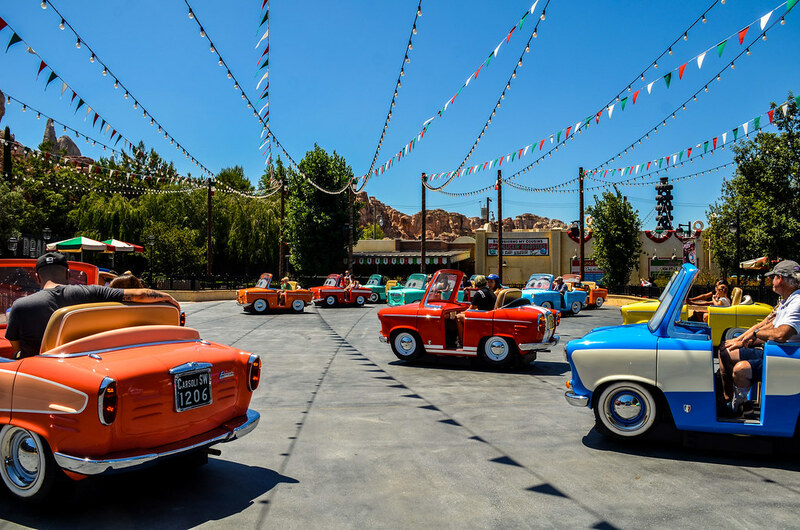 Doing this list confirms what I already thought of California Adventure – it needs a few more high-quality rides. The quantity is pretty impressive but the bottom 10 on this list are all pretty bad attractions. While it’s fine to have some attractions that don’t wow guests (in fact, those are needed) those rides can’t become the norm instead of the exception. 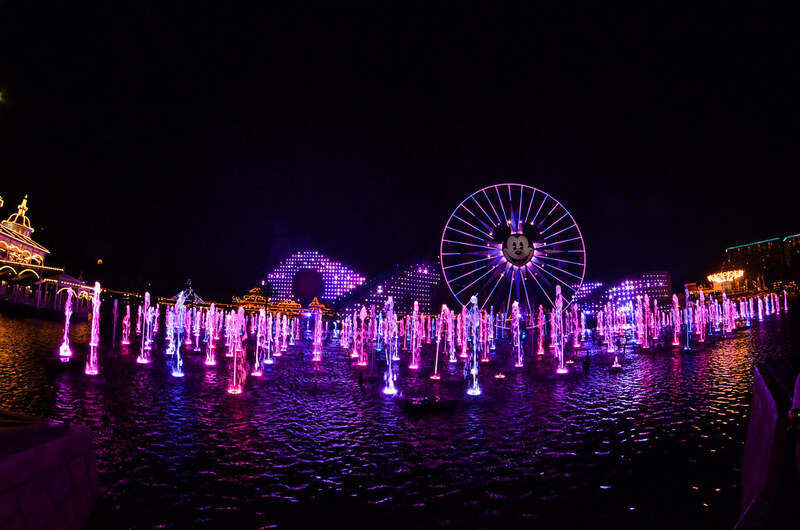 With that beings said, DCA has taken a huge step in the last decade and I think that will continue in the future. What rankings did I get wrong? Let me know in the comments! 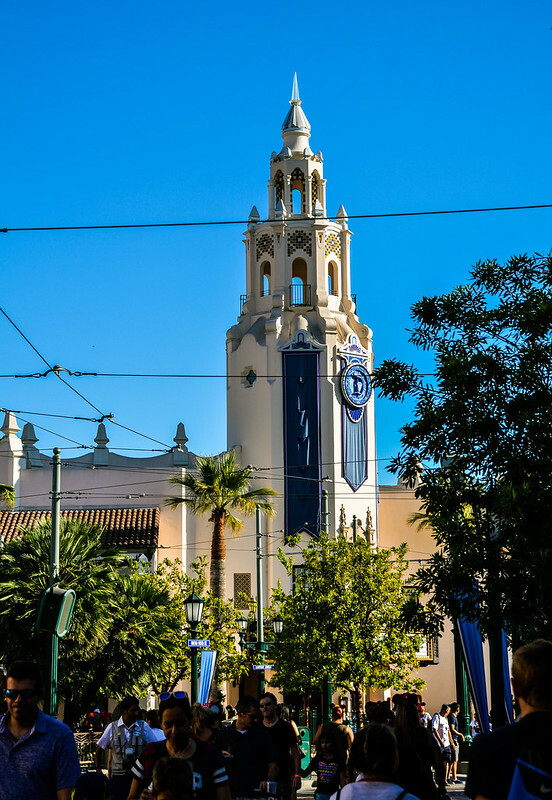 If you’re looking for a way to ride all of these in a timely fashion, check our FastPass guide to California Adventure here. Thank you for reading Wandering in Disney! I probably never asked this but how would you rank the Disney parks you’ve been to from best to worst? I love Animal Kingdom more than most and there is a huge drop off from California Adventure to Hollywood Studios. Hope you have fun in Tokyo! 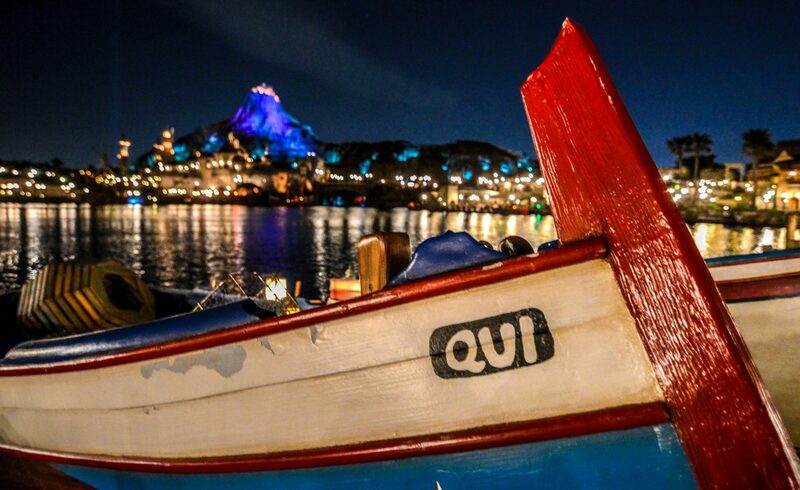 Will you also be doing rankings of the rides at Tokyo Disneyland and Tokyo DisneySea? Eventually, yes. It will probably be long after I get some reviews and a trip report out though.